Coloplast Hex On Odor Antagonist is used in healthcare facilities for more than 30 years to successfully control airborne odors. Concentrated formula-one spray eliminates odors for hours in an average room. This is the product I was looking for. We used it when my mother was in for rehab following a surgical procedure. We tried another brand but it was awful. This is terrific. It eliminates the smell immediately with only a squirt or two. Would suggest it to anyone looking to eliminate bad odors. 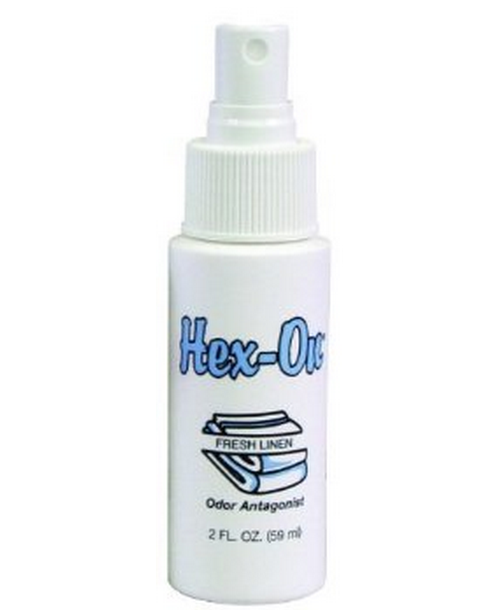 I have nothing negative to say about Hex-On. We first used it while my husband was in the hospital for a heart procedure. It worked so well that I brought home part of a bottle and researched to find where I could buy more. Now I don`t ever want to be without it. Don`t be fooled by the small bottle- it works so well, it takes only a couple of sprays. One bottle lasts me quite a while. Works very well smells are gone instantly. Great product, great price, excellent results!! Best ever! I liked the lemon scent tbest - used that in the hospital - but fresh linen is acceptable, and both versions really do the job. 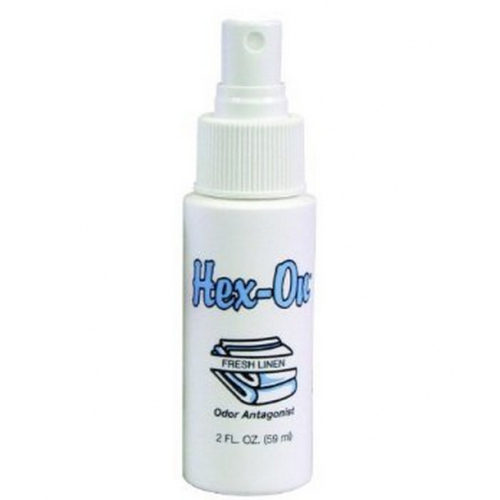 It works to REMOVE odors not cover them up. I was introduced to this product while in hospital for heart surgery. Brought the partial bottle home, checked the manufacturer and found where to purchase on-line. It is by far the best product I have ever used. It is not an air freshner it is definitely an odor remover ...... IT WORKS for cooking odors wonderfully. I am assuming it works. I am unable to smell anything which is why I had to purchase this. Hopefully it works.